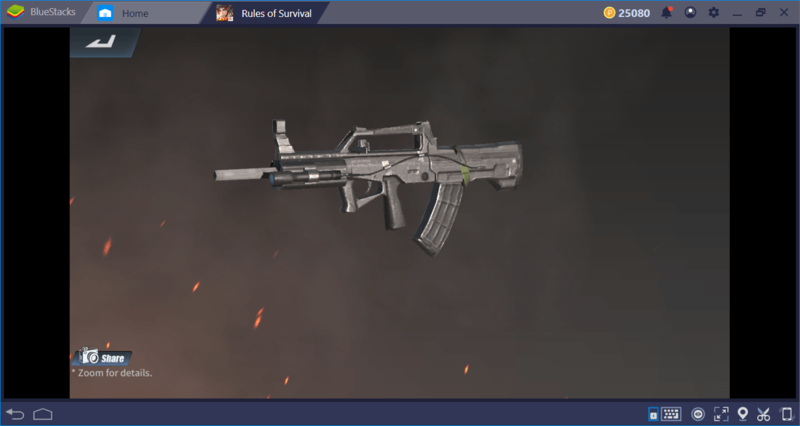 About a year ago, we prepared a weapons guide for Rules of Survival. However, the game has seen many updates since then and more weapons are available nowadays. 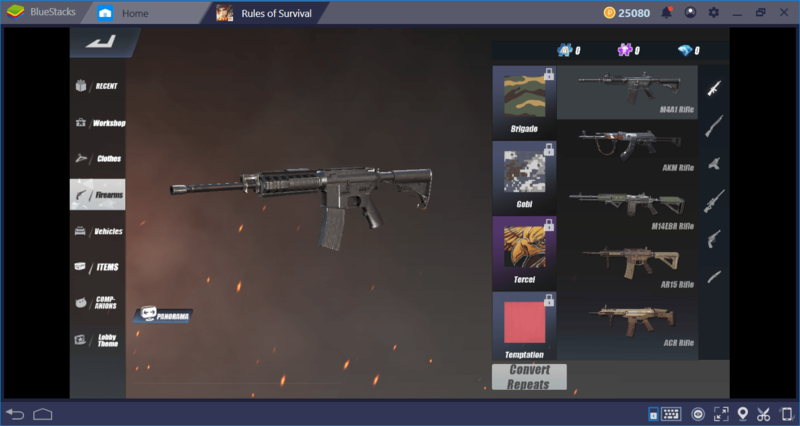 This is why we have decided to create an updated version of this guide: Below, you can see all weapons in Rules of Survival with detailed info and our recommendations in each category. However, we must make a “disclaimer” first: While some other guides you can find on the internet list the damage values of weapons, they are not official as NetEase does not share this data. That’s why we did not mention them – we are only listing accurate information about weapons and sharing our recommendations based on personal experience. M4A1 will be the weapon you will find the most, it is available on all maps and almost everywhere. It is not a bad AR too, in fact, it is the only weapon in this category that supports five attachments. Just don’t attach 8x scopes to it – M4A1 is only effective in the close and medium range. AR15 and ACR are almost the same as M4A1 but with better recoil. ACR can be found in Fearless Fjord map and we highly recommend using it, even during the end-game phase. AKM has way too much recoil and not a good choice, in our opinion. Among other options, QBZ is a good AR too, just like in PUBG: Its stability is quite nice and the firing rate is high enough to kill anything in front of you. In short, we recommend going with M4A1, ACR, and QBZ in this category. M1887 is quite a powerful weapon, but it is hard to use. It is also very inaccurate for some reason – you will have problems with shooting the target even in narrow spaces. Instead, we recommend picking M870 in this category. It is less powerful but more accurate – plus, if you miss the target for the first time, you can still continue shooting without reloading. WRO is also a good weapon with high damage and high accuracy at short range, but it needs attachments to become truly useful. If you use it in its “raw” form, the reload time is way too long. Thompson is the best choice in this category. In fact, it has the biggest magazine size among all other weapons: You don’t need to reload this beast often. As all other SMGs, it is pretty useless in long range, but for clearing out buildings and defending narrow spaces, Thompson will be the best choice – even better than shotguns. 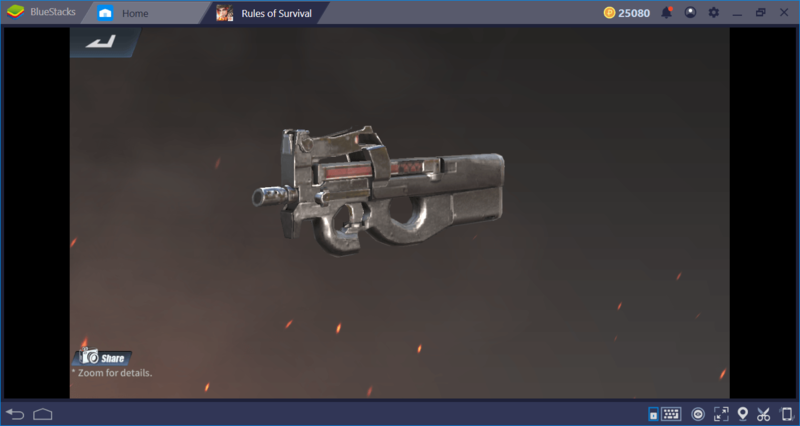 Among other options, P90 offers the highest fire rate and while this is a personal opinion, it is the most fun weapon to use. 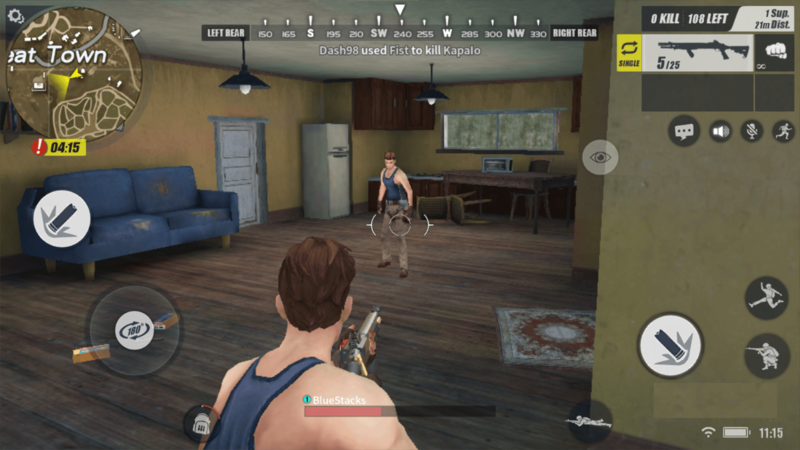 AWM is the king in this category, as can be expected and just like in other Battle Royale games. It comes with a 4x scope but we advise attaching an 8x one as soon as possible: The power of AWM lies in the long range. 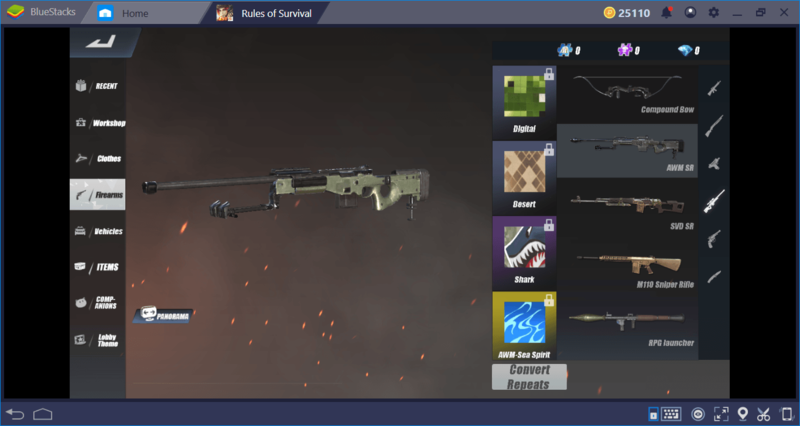 Compound Bow seems to be as powerful as AWM but it is harder to use and its range is shorter. 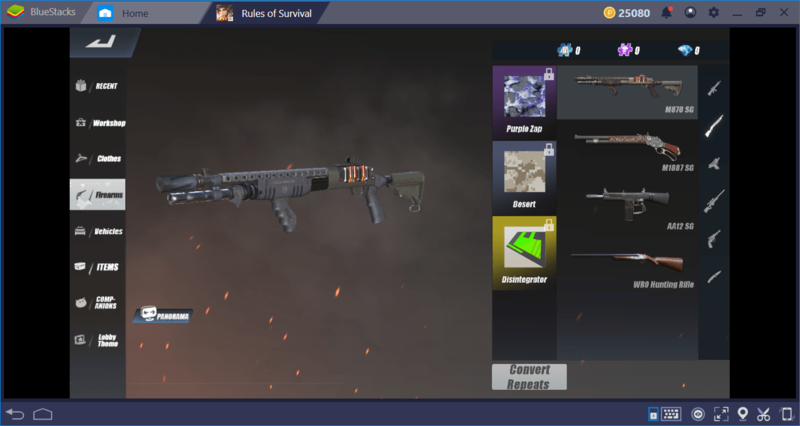 M110 is almost an exact copy of AWM, which can be found in Fearless Fjord map. 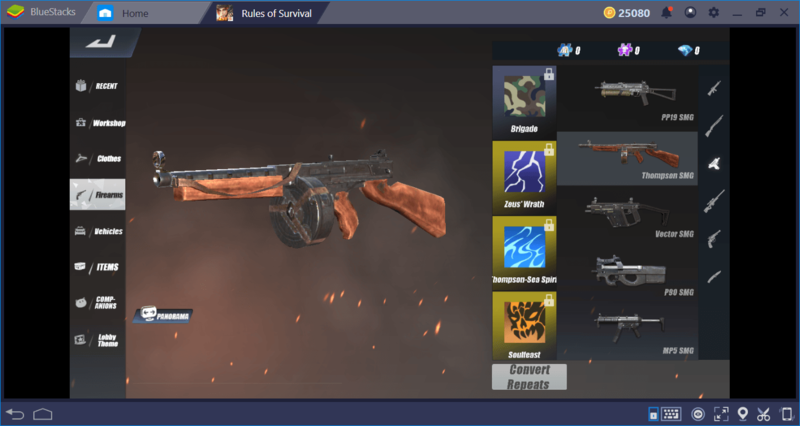 Kar98 is a recent addition to Rules of Survival but we do not like its high recoil: Instead, we will recommend using SVD. It is not as powerful as Kar98 or any other sniper rifle in this category, but it has a bigger magazine size and almost no recoil. 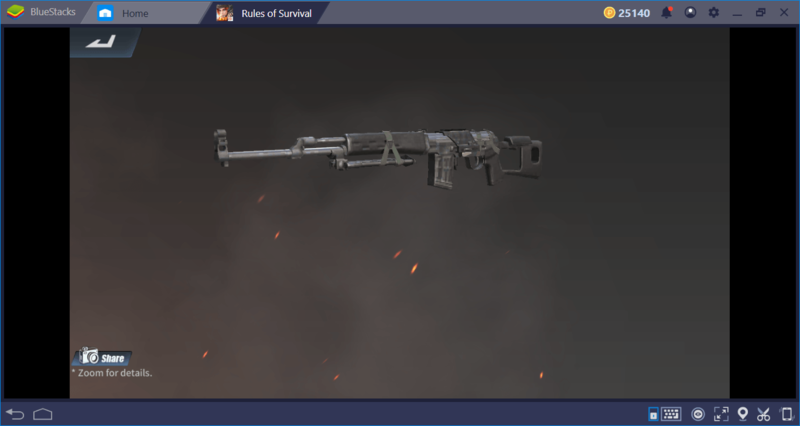 So, if you can find an AWM or M110, use them, otherwise, SVD is the next best thing other Battle Royale games. 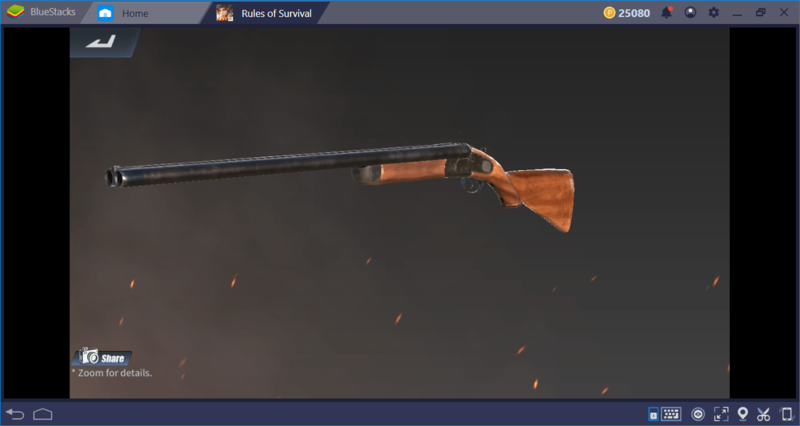 As a general rule, all pistols and melee weapons are pretty much useless in Rules of Survival, so don’t bother using them. Sure, until you find another weapon, they will be better than running naked, but as soon as you find a better one, you can forget about their existence. The only pistol worth mentioning is Desert Eagle: If your rival is right in front of you and preferably sitting still, you can kill him with only one shot. However, this particular scenario won’t happen that often. 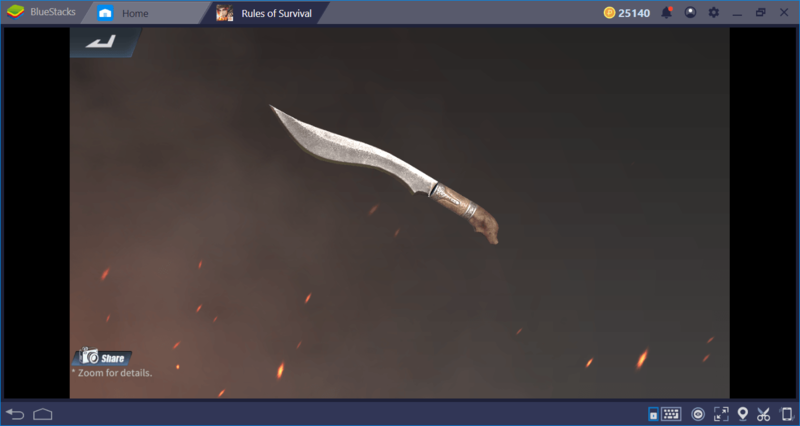 Among melee weapons, we like Damascus knife. Not because it is useful, because it is not, but it looks cool enough. You should think of melee weapons as cosmetic accessories because they are not useful for much else. 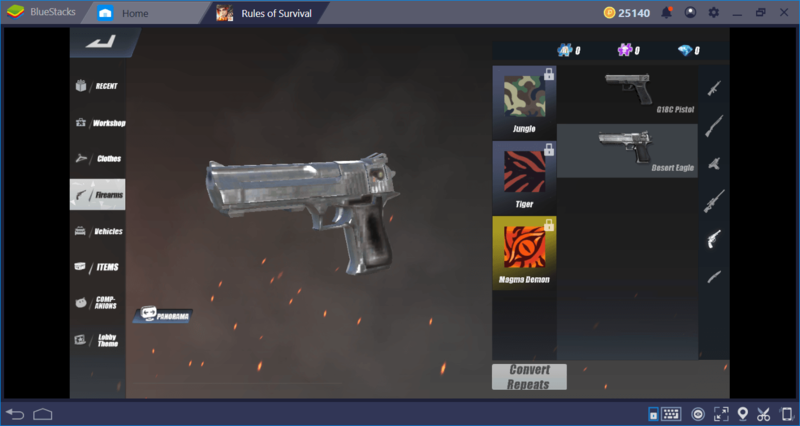 It is quite hard to find accurate and up-to-date information about Rules Of Survival weapons, so if we missed some, please notify us. Now, you have a better understanding of weapons, so it is time to fight for that chicken dinner. 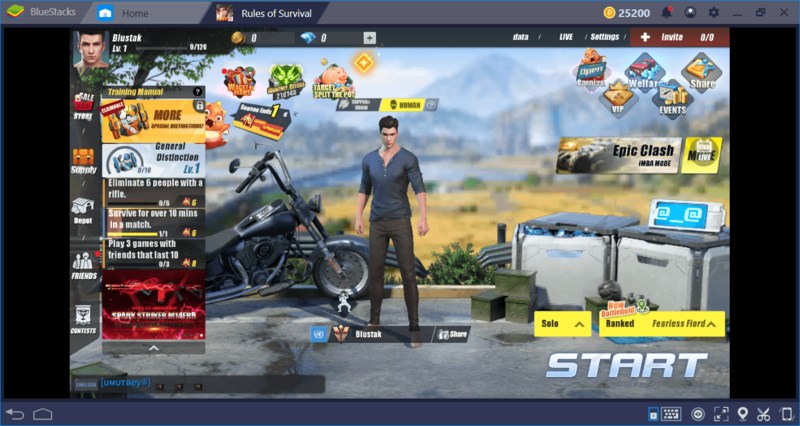 Before jumping on that plane, make sure to read our other Rules Of Survival guides too and get tips & tricks that will help you. Good luck and may the best airdrops be with you!